Views, views and more views! This well cared for home sits perched on a hilltop on over an acre with 5 bedrooms, a workout room that would also make a great private office. Plus this beauty has a massive four car garage, dog run and the back lawn is actually a high quality synthetic turf. This home has several upgrades including solar system, brand new carpet, and the list goes on! 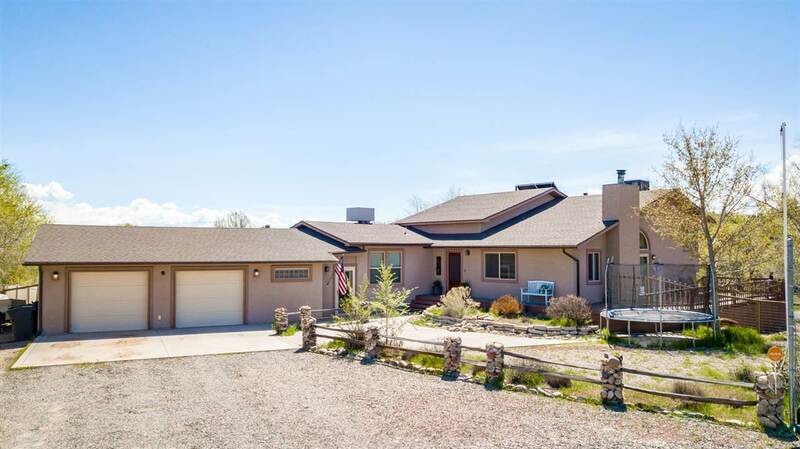 The convenient location is close to excellent schools, world class mountain biking trails, golf course, a grocery store and downtown Grand Junction.